Shinto - "The Way of the Gods"
Members of the Yamato tribe became the ceremonial leaders in Japan. Divine origins were ascribed to the imperial family. Shinto became the official religion of Japan. The separation of Japanese religion from politics did not occur until just after World War II. Most Japanese citizens follow two religions: both Shinto and Buddhism. Buddhism first arrived in Japan from Korea and China during the 8th century CE. The two religions share a basic optimism about human nature, and for the world. Within Shinto, the Buddha was viewed as another "Kami" (nature deity). Meanwhile, Buddhism in Japan regarded the Kami as being manifestations of various Buddhas and Bodhisattvas. Shinto does not have as fully developed a theology as do most other religions. Their religious texts discuss the "High Plain of Heaven" and the "Dark Land" which is an unclean land of the dead, but give few details. Shinto creation stories tell of the history and lives of the "Kami." Among them was a divine couple, Izanagi and Izanami, who gave birth to the Japanese islands. Their children became the deities of the various Japanese clans. Amaterasu (Sun Goddess) was one of their daughters. She is the ancestress of the Imperial Family. Her descendants unified the country. Her brother, Susano-no-mikoto came down from heaven and roamed throughout the earth. He is famous for killing a great evil dragon. Exceptional people, including all but the last of the emperors. They are seen as benign; they sustain and protect. There are no concepts which compare to the Christian beliefs in the wrath of God, His omnipotence and omni-presence, or the separation of God from humanity due to sin. Ancestors are deeply revered and worshipped. All of humanity is regarded as "Kami's child." Thus all human life and human nature is sacred. Believers revere "musuhi", the Kamis' creative and harmonizing powers. They aspire to have "makoto", sincerity or true heart. This is regarded as the way or will of Kami. Love of nature: Nature is sacred; to be in contact with nature is to be close to the Gods. Natural objects are worshipped as sacred spirits. "Matsuri": This is a festival which honors the spirits. The desire for peace, which was suppressed during World War II, has been restored. Shinto recognizes many sacred places: mountains, springs, etc. Each shrine is dedicated to a specific Kami who has a divine personality and responds to sincere prayers of the faithful. When entering a shrine, one passes through a Tori a special gateway for the Gods. It marks the demarcation between the finite world and the infinite world of the Gods. In the past, believers practiced "misogi,", the washing of their bodies in a river near the shrine. In recent years they only wash their hands and wash out their mouths in a wash basin provided within the shrine grounds. Believers respect animals as messengers of the Gods. A pair of statues of "Koma-inu" (guard dogs) face each other within the temple grounds. Shrine ceremonies, which include cleansing, offerings, prayers, and dances are directed to the Kami. Kagura are ritual dances accompanied by ancient musical instruments. The dances are performed by skilled and trained dancers. They consist of young virgin girls, a group of men, or a single man. Mamori are charms worn as an aid in healing and protection. There come in many different forms for various purposes. An altar, the "Kami-dana" (Shelf of Gods), is given a central place in many homes. Seasonal celebrations are held at spring planting, fall harvest, and special anniversaries of the history of a shrine or of a local patron spirit. A country-wide National Founding Day is held on FEB-11 of each year. Other festivals include: JAN 1-3 Oshogatsu (New Year); MAR-3 Ohinamatsuri (Girls' festival); MAY-5 Tango no Sekku (Boys' festival); JUL-7 Hoshi Matsuri (Star festival). Followers are expected to visit Shinto shrines at the times of various life passages. For example, the "Three-five-seven matsuri" involves a blessing by the shrine Priest of girls aged 3 and 7 and boys aged 5. It is held on NOV-15. Many followers are involved in the "offer a meal movement." in which each individual bypasses a breakfast (or another meal) once per month and donates the money saved to their religious organization for international relief and similar activity. 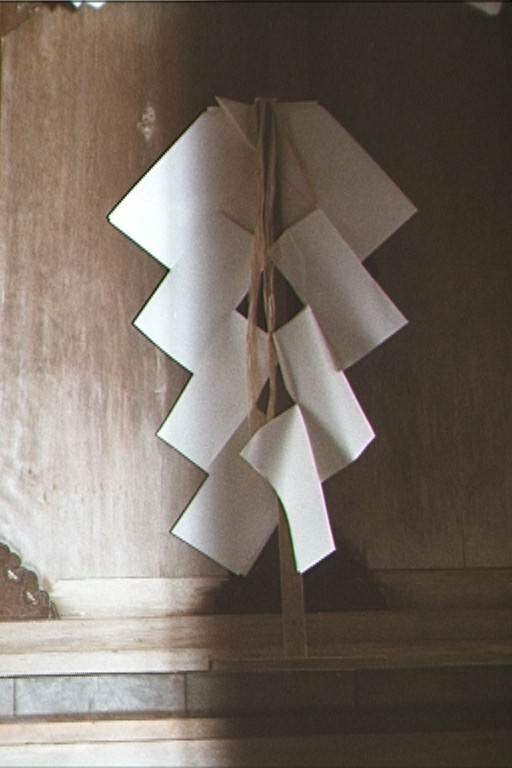 Origami ("Paper of the spirits"): This is a Japanese folk art in which paper is folded into beautiful shapes. They are often seen around Shinto shrines. Out of respect for the tree spirit that gave its life to make the paper, origami paper is never cut. Jinja (Shrine Shinto): This is the largest Shinto group. It was the original form of the religion; its roots date back into pre-history. Until the end of World War II, it was closely aligned with State Shinto. The Emperor of Japan was worshipped as a living God. 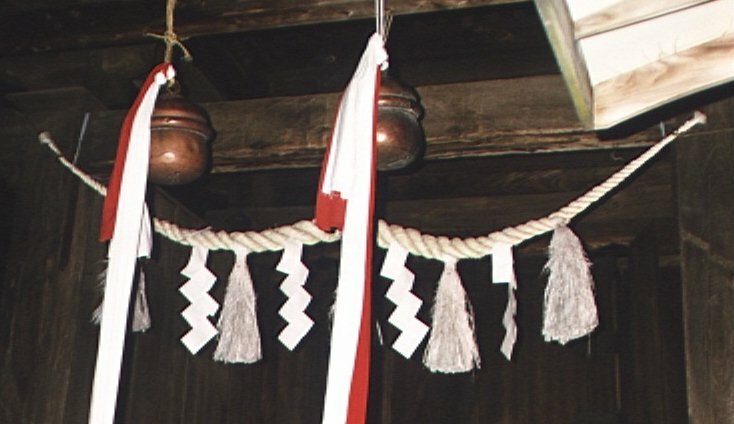 Almost all shrines are members of Jinja Honcho, the Association of Shinto Shrines. Kyoha (Sectarian Shinto) This consists of 13 sects which were founded by individuals since the start of the 19th century. Folk Shinto This is not a Shinto sect; it has no formal central organization or creed. It is seen in local practices and rituals. e.g. small images by the side of the road, agriculture rituals practiced by individual families, etc. These three forms are closely linked. An image may be installed by a member of one of the Sectarian Shinto sects who worships at a particular shrine. Shinto is a tolerant religion which accepts the validity of other religions. It is common for a believer to pay respect to other religions, their practices and objects of worship. Estimates of the number of adherents are hopelessly unreliable. Some sources give numbers in the range of 2.8 to 3.2 million. One states that 40% of Japanese adults follow Shinto; that would account for about 50 million adherents. Others state that about 86% of Japanese adults follow a combination of Shinto and Buddhism; that would put the number of followers of Shinto at 107 million. One source estimates 1000 followers of Shinto in North America. The Canadian Census (1991) recorded only 445 in Canada.